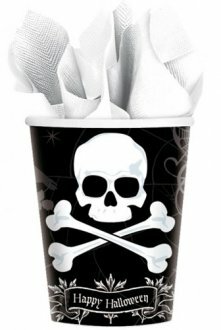 Witches Crew Paper Party Halloween Cups 266ml 8 Cups Per Pack. 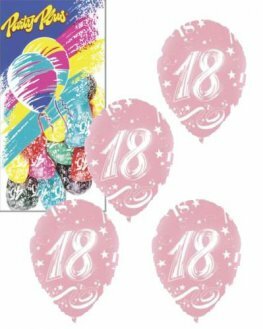 Anagram HALLOWEEN MIDNIGHT DREARY paper cups x18 266ml. 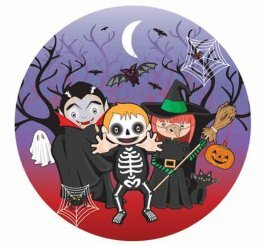 Halloween paper plates x8 approx 18cm each. 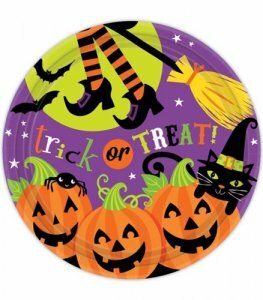 Halloween paper plates x8 approx 23cm each. 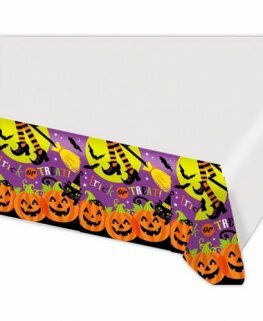 Halloween paper bowls x8 approx 16cm each. 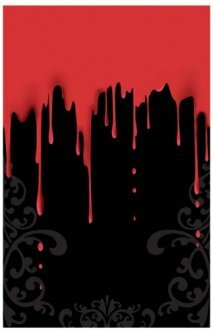 Amscan Fangtastic Plastic Tablecover. 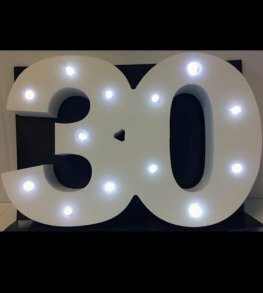 This Halloween Themed Tablecover is 54cm x 102cm. x1 Per Pack. 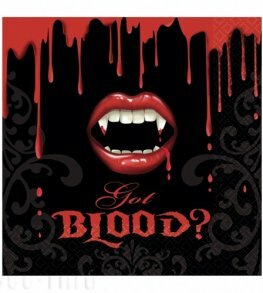 Amscan Fangtastic Luncheon Napkins. 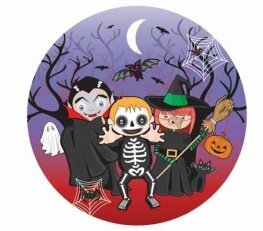 These Halloween Themed Napkins Are 33cm And Come In Packs Of 16. 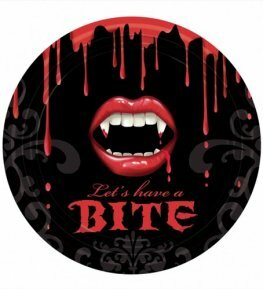 Amscan Fangtastic Paper Plates. 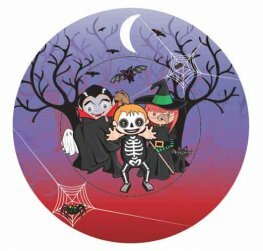 These Halloween Themed Plates Are 22.8cm And Come In Packs Of 8. 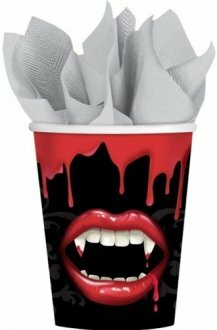 Amscan Fangtastic Paper Cups. 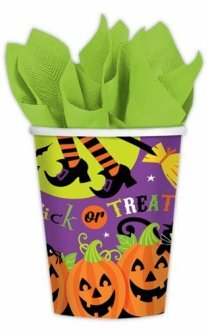 These Halloween Themed Cups Hold 266ml of Juice And You Get 8 Cups Per Pack. 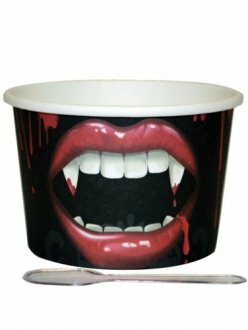 Amscan Halloween Fangtastic Dessert Pots With Spoons x12 Per Pack.